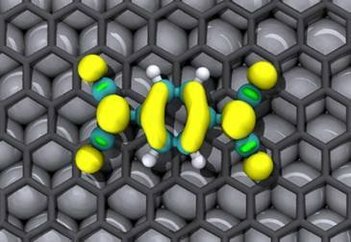 Researchers from Spain have managed to create magnetic graphene, basically they developed a hybrid graphene surface that behaves like a magnet. 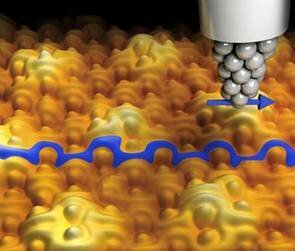 This may enable graphene-based Spintronic devices. The researchers grew a graphene sheet on a ruthernium single crystal substrate. Then they evaporated TCNQ (tetracyano-p-quinodimethane) molecules on the graphene surface. The TCNQ molecule acquired long-range magnetic order. While the graphene itself did not interact with the TCNQ molecules, it permitted a highly efficient charge transfer between the substrate (the ruthernium crystal) and the TCNQ.